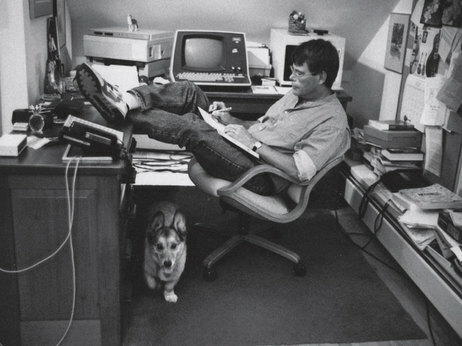 I’ve had a book in the back of my mind for a year or two, and I recently picked it up – Stephen King’s On Writing, his memoir and thoughts on the craft. Since I’ve written about a Stephen King novel before, you might be under the impression I’m a big fan. Not really. Mind you, I think he’s a fine writer, whatever my opinion matters; I’m just not much into the horror genre – what he’s more or less known for. But On Writing received rave reviews, and I thought it would be worth my time. Disclaimer: If you’re thinking about a read, be warned – he is a profane man, and as I’m listening to it, I can’t just let it play aloud in the kitchen while I’m loading the dishwasher. “Give me two weeks to think about it,” the man replies. I was afraid that I wouldn’t be able to work anymore if I quit drinking and drugging, but I decided, again, so far as I was able to decide anything in my distraught and depressed state of mind, that I would trade writing for staying married and watching the kids grow up, if it came to that. It didn’t, of course. The idea that creative endeavor and mind altering substances are entwined is one of the great pop intellectual myths of our time. King believes in God, and he has more recently been quoted as saying that he is on the side of intelligent design. That’s encouraging, as I sure like the guy, and I’m very glad he took the rescue his wife offered. Perhaps someday he will consider the most important rescue ladder which we all need to grab on to. Very interesting, You do read many different authors and points of view..